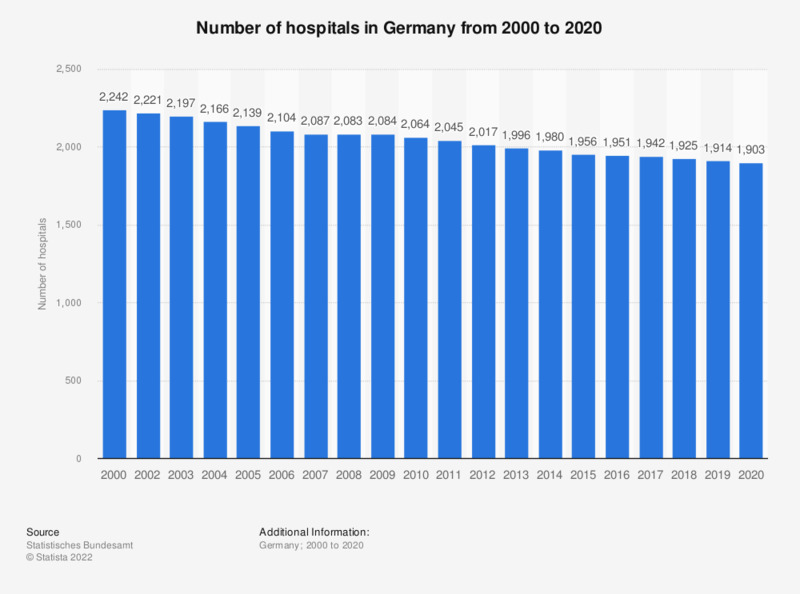 This statistic shows the number of hospitals in Germany from 2000 to 2017. In 2017, the number of hospitals amounted to 1,942. Hospital numbers have been steadily decreasing in the period of consideration.